So, in my fun and excitement I was putting together a ‘cisco’ network using dynamips that spans a few sites across the world. I’m using ancient copies of NT for some servers, although I plan on adding in some 386BSD, SunOS SPARC, and maybe even 68010 based, along with other stuff. Even better it’s from 1989 which suits my need for something positively ancient, and simple enough to be a single C file. * TACACS daemon suitable for using on Un*x systems. * Copyright (c) 1989 by cisco Systems, Inc.
Porting it to run on Winsock, really wasn’t all that hard, I had it running as a standalone program within a few minutes, however there is no password file in NT, so as a simple test, I had simply short circutied the username lookup to always suceeded, along with a password compare. 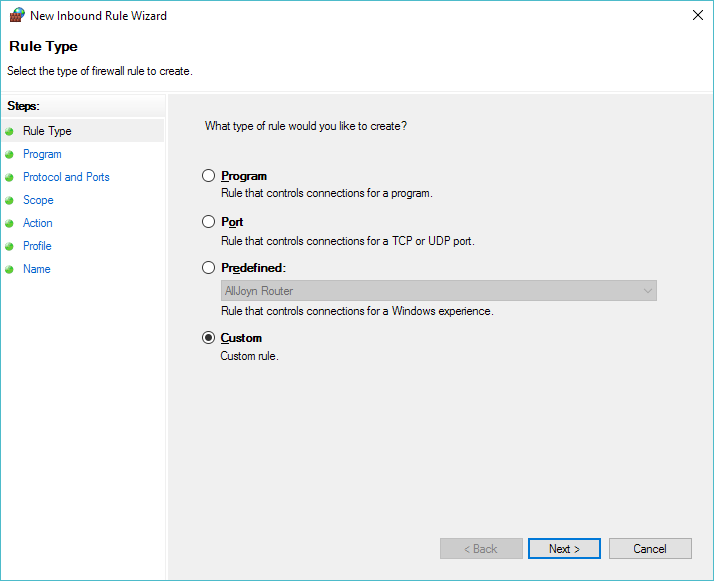 Idle PC set to 0x604f1da0. ILT: loaded table "mips64j" from cache. ILT: loaded table "mips64e" from cache. ILT: loaded table "ppc32j" from cache. ILT: loaded table "ppc32e" from cache. CPU0: carved JIT exec zone of 64 Mb into 2048 pages of 32 Kb. C7200 'default': starting simulation (CPU0 PC=0xffffffffbfc00000), JIT enabled. cisco 7206VXR (NPE200) processor with 253952K/8192K bytes of memory. 125K bytes of non-volatile configuration memory. 4096K bytes of packet SRAM memory. 65536K bytes of ATA PCMCIA card at slot 0 (Sector size 512 bytes). 8192K bytes of Flash internal SIMM (Sector size 256K). So Im using 192.168.254.1/24 so let’s setup the router. Let’s give it a .10 for the heck of it.  Also I’m going to turn off DNS name resolution for the moment. Enter configuration commands, one per line. End with CNTL/Z. 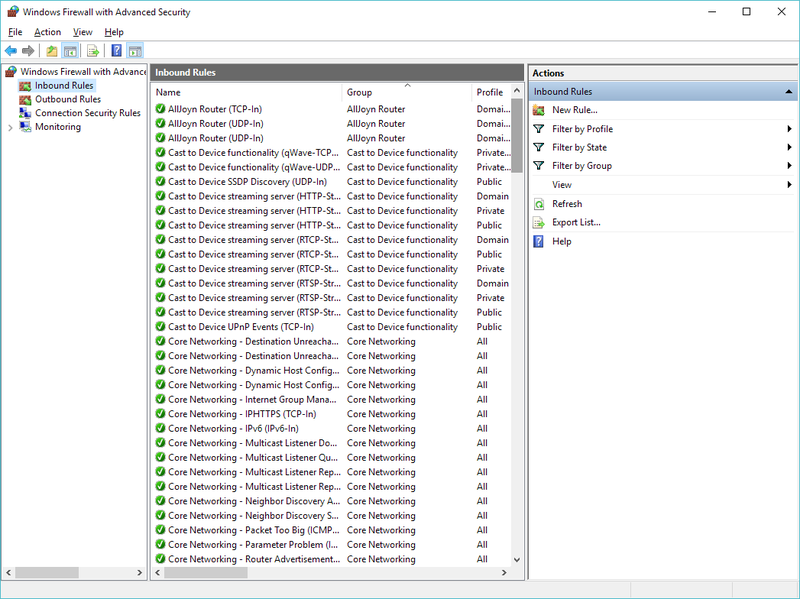 And if everything is going well, I can now ping from Windows! Awesome! 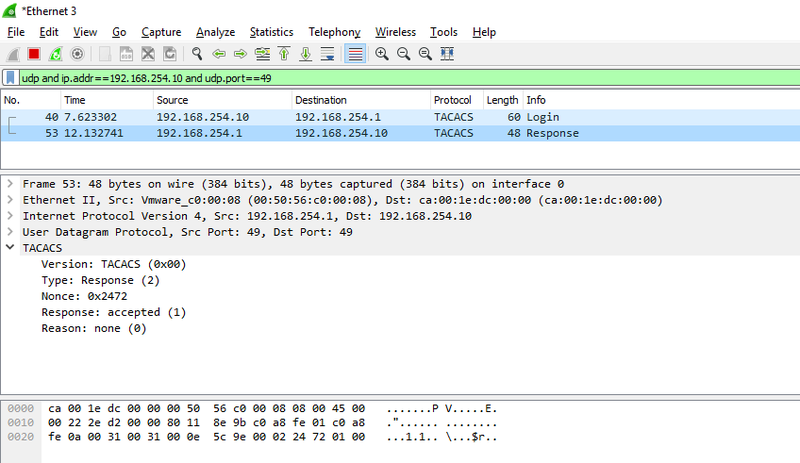 Pinging from the cisco however fails. 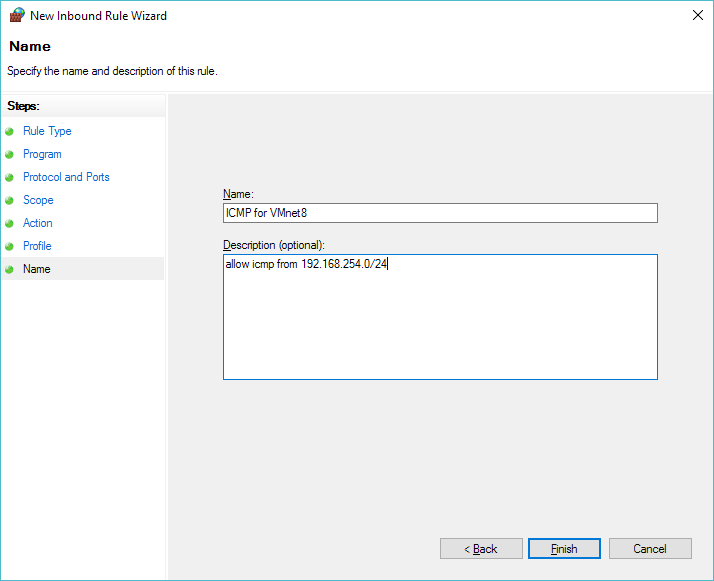 We can either diable the firewall, or we can add a rule to permit ICMP. 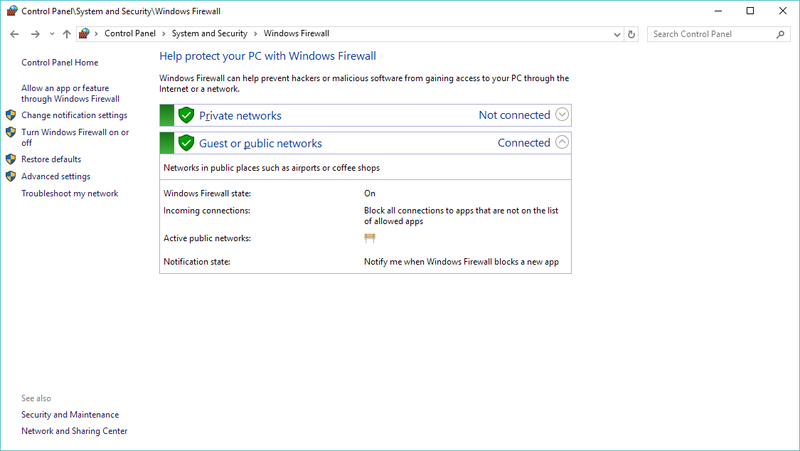 To do either you need to go to the firewall control panel in Windows. 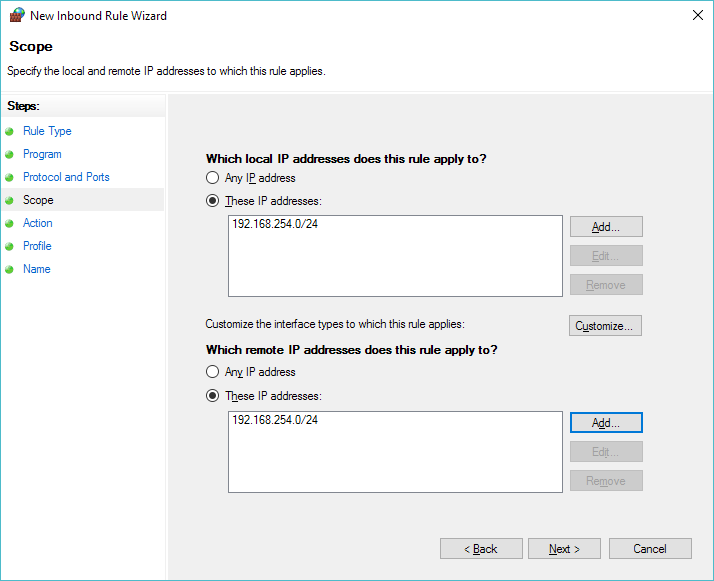 In this quick example, I’m going to build a rule using the firewall control pannel. So hit the advanced settings to the left. 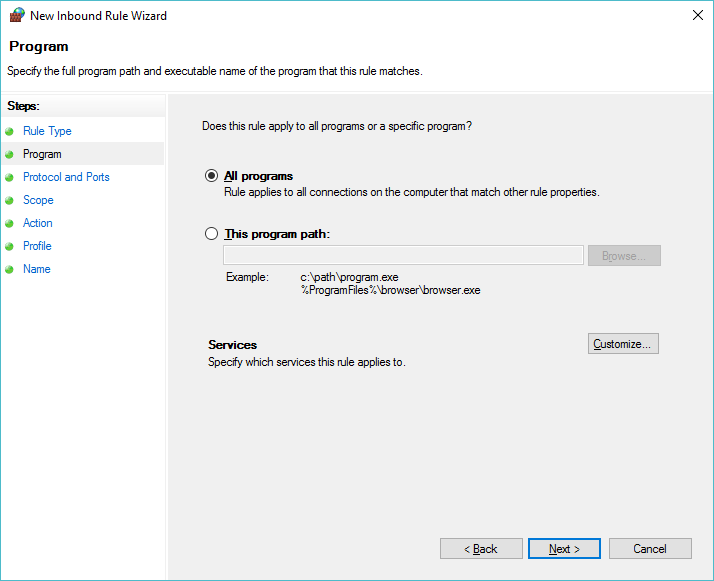 Click on the ‘Inbound Rules’, and now we are going to create a new rule. 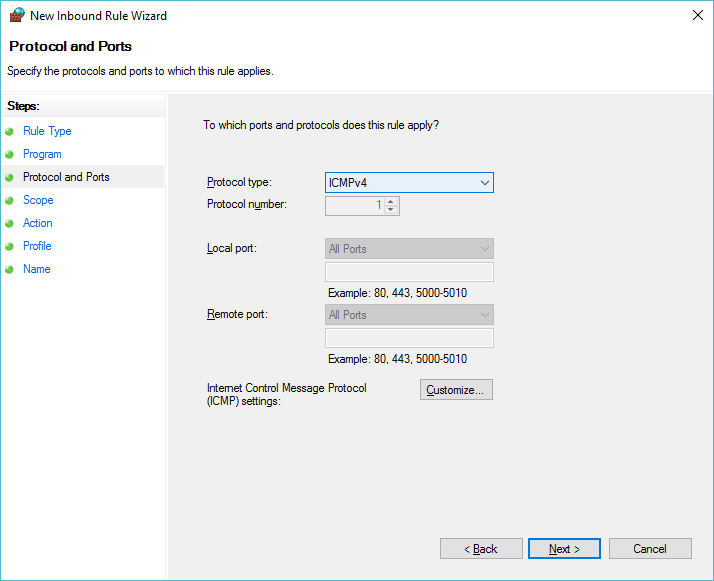 Now we can select the scope of the rule, in this case we are going to allow the 192.168.254.0/24 network to pass icmp traffic to us. Add it as a source and destination. In this quick example I’m applying it everywhere. 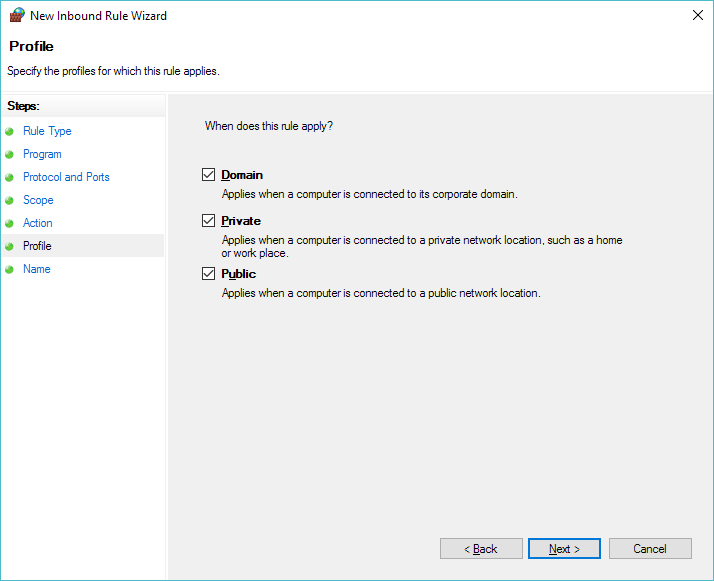 I suppose a better setup would be to make sure the VMNet 8 adapter is a ‘Private’ network, and ONLY apply this to the Private domain. And now we can ping! 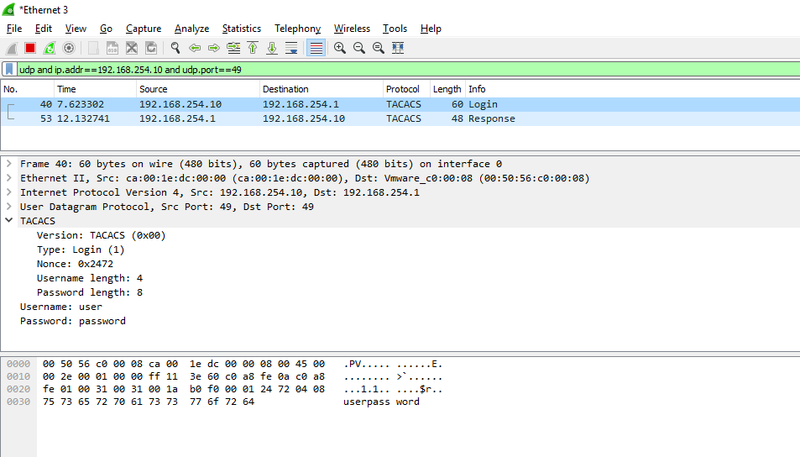 And now I can configure the router to use TACACS. Keep in mind, once gain that this is *NOT* TACACS+ so this is done a little differently. I’m going to simply set TACACS for telnet connections. And now I’m ready to test! Needless to say this is something that you would NEVER EVER EVER run in a real network. Of course a system that sits on telnet is vulnerable anyways, but I suppose a TACACS server that lets anyone log in, makes either a VERY trusting network, or a good honeypot. 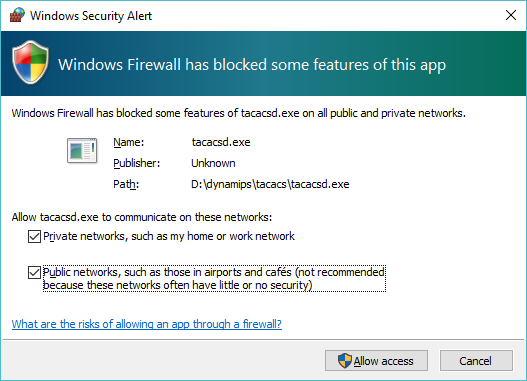 Against my better judgement, here is tacacsd_win32.c Naturally it could be easily made to verify passwords against pretty much anything.